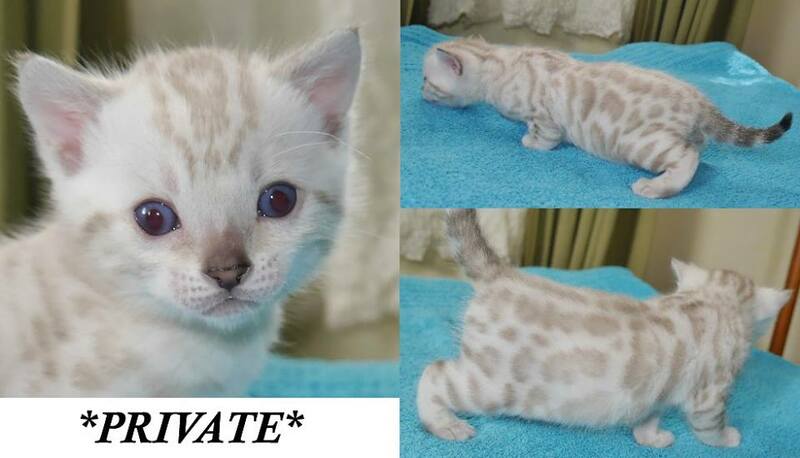 This gorgeous large rosetted seal lynx point (snow) Bengal kitten is going to be a looker! 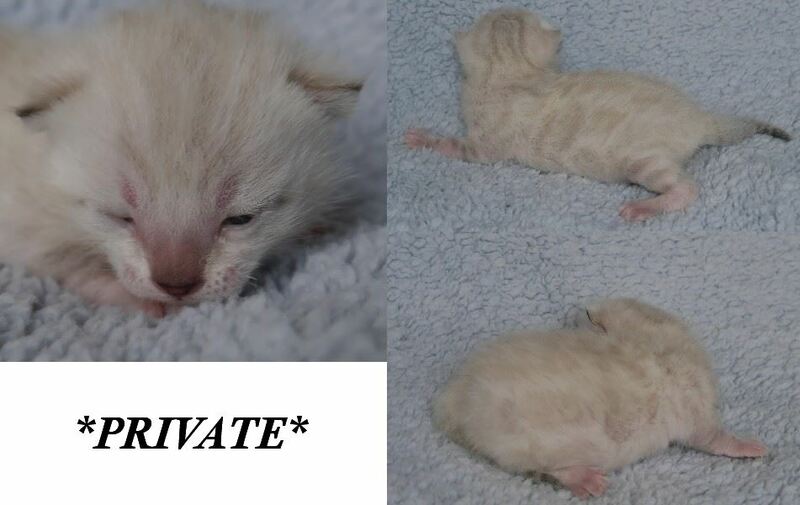 It’s harder to see her pattern than her brown siblings but her rosettes will darken as she matures. 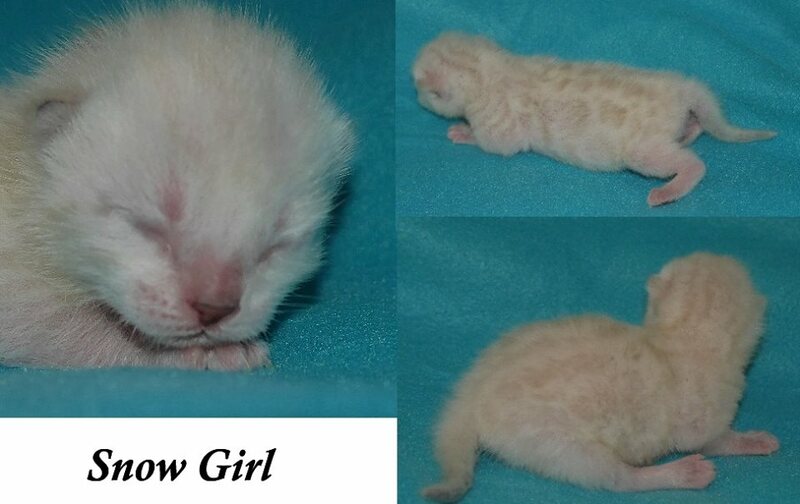 We hope her pattern will look like her dad’s KotyKatz Kiss This. Being a seal lynx point means she will keep those beautiful blue eyes like mom Estonia. Part of our Penguins of Madagascar themed littler, Private gets his name from youngest, chubbiest, and most inexperienced of the penguin group. Often finding to overcome his inexperience and create a win-win solution. Another obstacle that he overcame is despite being the nicest member of the zoo, he was able to defeat Skipper in a training session! 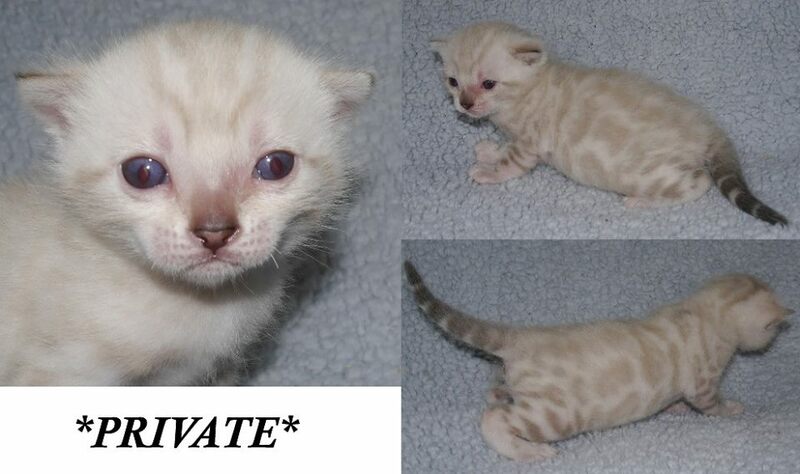 This entry was posted in Bengal Kitten Gallery and tagged Private, seal lynx point, Snow Bengal Kitten, Snow Kitten. Bookmark the permalink.